The elbow is a rather weak point in the musculoskeletal system of man. It serves as a support in the fall, takes on the burden in the case of weight lifting, is constantly in motion and action. Therefore, diseases of the elbow and the violations associated with its normal functioning, are not uncommon. For their diagnosis as the most informative method used an x-ray of the elbow joint. X-rays are passed through the tissue, will reveal pathologies that develop in the bones. That shows the radiograph of the elbow joint? 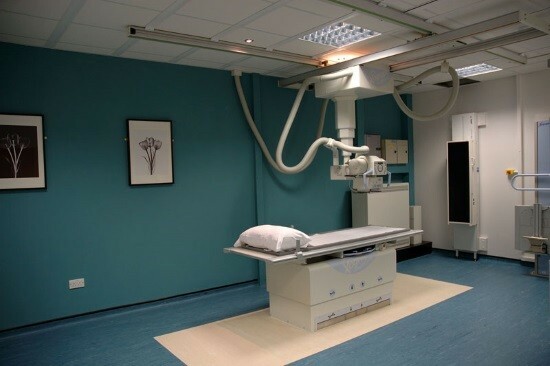 Having an x-ray, the specialist can see it is not only such damage as cracks, dislocation or fracture. X-rays of the elbow joint gives the doctor information about the presence or absence of bone growths, the width of the joint space, about how the articular surfaces correspond to each other, in any areas of deposited calcium and much more. If only the soft tissue of the elbow, that x-rays do not show such changes. In this case, additionally appointed computer tomography, arthroscopy or ultrasound. X-ray examination is particularly effectively detects damage of the bone tissue resulting injuries, degenerative disorders, and various tumors. Where can I get an x-ray of the elbow? If you fall or just badly bruised my elbow, then learn about the possible absence or damage, please contact the emergency room. The surgeon will examine the elbow, will appoint the procedure x-rays and give a conclusion. If queues do not exist, then it will take about an hour. Prolonged and recurring pain in the elbow joint, you can consult a therapist or an orthopedist. They will also prescribe x-ray examination, establish a diagnosis and prescribe treatment. As a rule, an x-ray of the elbow joint is possible in all major hospitals and diagnostic centers. Ideally, such centers must have modern equipment and qualified personnel. Before you provide a service, such as an x-ray of the elbow joint, the radiologist needs to know about the disease, inquire about contraindications, and also give brief information about the procedure. How to make x-rays of the elbow joint? At the moment to conduct x-ray examination of the elbow joint in two ways: analog and digital. The first option involves obtaining images of articular structures on a special film, which requires manifestation. In the second case, the operator sees the displayed damage on the screen. This method allows you to make as many pictures as you need, because the information can be stored on digital media. Today it is the most preferred research method, as it is believed that it has great accuracy and a lower degree of exposure to the patient. Moreover, the time required for conducting digital surveys require less. 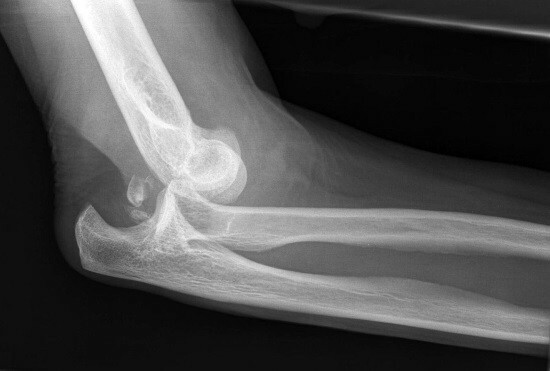 How is the procedure x-rays of the elbow? Conducting x-ray examination of the elbow does not require special preparation. The patient is seated, and the hand placed on the table as needed. During snapshot, the limb should be absolutely still. To ensure this, use the bags containing sand or other auxiliary means. In order to best view the changes in the tissues, should be obtained images in three planes. The position of the patient depends on the extent of the joint damage, most often the survey is conducted when a person is sitting and his hand is on the table. In some cases it is possible to conduct x-ray standing or lying down. When doing the x-ray in direct projection, the patient’s arm should be fully extended and raised. In a side study arm will need to bend 90 degrees and also raise. The third projection, which makes x-ray – axial. For this hand crank to the max, and then put on the table, leaning on the humerus. After the procedure x-ray examination the patient is asked to wait. Typically, the images are ready after only 15 minutes, and they bring in a doctor’s office or handed to the patient. Specialist carefully examines the results and makes a written report on the condition of the elbow. On the basis of this conclusion, the patient can be diagnosed and treated, and it can direct to other professionals. This method of diagnosis like x-rays of the elbow joint, gives an opportunity to see the pathology of the bones. By studying the images, the specialist clearly sees cracks, offsets, and the development of degenerative processes, tumors. Great attention is paid to the size of the joint space, as the articular surfaces of bones, the ulnar bone. In parallel, the doctor examines the and nearby tissue. If the received data for diagnosis is not sufficient, prescribe additional diagnostic procedures. This is usually MRI, CT, arthroscopy or ultrasound. If discovered traumatic injury, impose a pressure bandage, plaster Longuet or bus. In some cases, hospitalization is required. Therapeutic treatment can be performed at home and in the hospital or clinic. Who can not do x-rays? Since x-rays constitute a threat to the well development of the fetus, women in the period of carrying a child to do an x-ray is not recommended. In case of emergency diagnostics in this method the abdomen is served with a protective apron. Also, they definitely should take advantage and in other cases, the conduct of radiography. Contraindications include children’s age. Do not recommend without having to do x-rays to children who have not reached 14 years of age. In order to reduce the risk of radiation exposure, the children close the protective apron the area of the pelvis, abdomen, chest and the region of the thyroid gland and the organs of vision. If we are talking about a newborn, leaving open only the part of the body of the child, which need to be examined.